I've complained a lot in the past about part-timers and celebrities swooping in at WrestleMania and stealing the spotlight from active members of the roster. After some serious thought and hearing the opinions of others, I had an epiphany over the weekend. Rewind to 1985 and the very first WrestleMania. It was all about the celebrities. Mr. T, Cyndi Lauper, Muhammed Ali, Billy Martin and Liberace were all featured at the inaugural event. They're what made WrestleMania stand out from a usual wrestling show at Madison Square Garden. The company could have simply done Hulk Hogan & Jimmy Snuka vs. Roddy Piper & Paul Orndorff, but would we be gearing up for WrestleMania 33 today had that been the featured match? As the years passed, the celebrity involvement didn't wane. Mr. T was back in the ring at WrestleMania II. There was a cavalcade of stars like Elvira, Susan St. James and William "The Refrigerator" Perry (along with several other NFL stars for the battle royal). Through the years we've seen the likes of Lawrence Taylor, Snooki and Floyd "Money" Mayweather step through the ropes at WrestleMania. I've found as a fan that my level of dislike for this idea depends more upon my fandom of the celebrity in question than the actual use of a non-Superstar. The same is true of part-timers or Legends coming in. They too should be treated like the celebrity appearance. They're attractions. And I think there was a lot of casual fans who have enjoyed seeing the Goldberg comeback. It's been well documented here that while I'm not a fan of his, I do appreciate what Goldberg has done for wrestling. That being said, I don't have a problem with him having a match at WrestleMania, but I am still not on board with him being the champion. 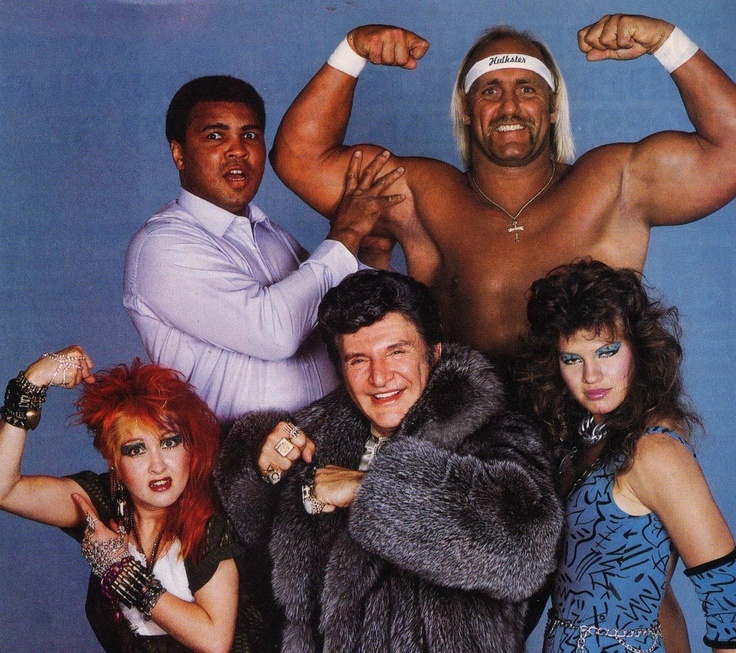 Long story short, the very foundation on which WrestleMania is built upon is based on the celebrity factor. Plus these days between the kickoff show, the multi-Superstar matches and the Andre the Giant Memorial Battle Royal, pretty much everyone gets a chance to be part of the biggest event of the year. Let's chill and enjoy the show, and save our criticism for AFTER WrestleMania because you know, wrestling fans know how to better book an event. Oh, and I was fully behind the rumored Rock/Ronda Rousey vs. Triple H/Stephanie McMahon match for last year's event. I get it too. WM has always been about those big guests. That said, WWE needs to remember they are booking celebs/part-timers for their paying audience and not simply to stroke egos of guys in the locker room and serve their own egos. Shaq? No way. Booking him for just a second of ESPN airtime and a yahoo.com article is a waste of a booking budget. Shaq when he paid for Orlando or LA? Sure. But his ship has sailed and half the kids 25 and under barely know him or care anything about him. Played not paid. Well... you know.